However, the school principal did not respond and after repeated calls asking for an update, it was time to leave. The family left on their vacation not knowing if the absences would be excused, but confident they made the right decision based on the real-world experiences Jennifer would see firsthand. After returning home, they received the paperwork stating the absences were not excused. Jennifer’s mom called the principal twice to arrange a meeting to discuss the absences, but her calls were not returned. She then contacted the teacher who said she understood the value of what Jennifer had learned, but today’s school system was only focused on test scores and not personal growth that comes from extended travel. The teacher gave Jennifer an X, and not a 0, which meant the absences did not count against her, but instead indicated the work was not complete. Even more frustrating was that Jennifer couldn’t make up the work because the class had already moved too far ahead. Sadly, this is the current state of our educational system in the United States. Instead of encouraging young people to explore and experience new places and cultures, the system only focuses on what can be learned from a book or while sitting in a classroom. It’s another reason why students in the United States are considered among the most isolated on the planet, because they rarely have the opportunity to travel to other countries for extended periods of time until they are much older. Research has proven it’s the early years of development and exposure to new things that has the longest lasting impact on our lives. If you have been following our series, you know that my wife and I sold nearly everything we owned to take our three teenage sons on an around-the-world trek. We wanted them to experience other places and cultures before they started college. 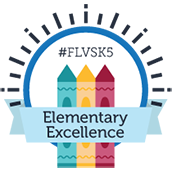 My wife used Florida Virtual School (FLVS) to homeschool all three boys. Morgan and Zach completed their 12th grade requirements before we left, and Harrison worked ahead a year and finished 9th grade before beginning the trek in August 2008. 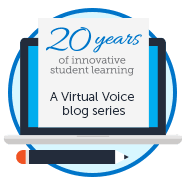 Without FLVS, we would never have realized our dream of exposing our sons to a world they could not have experienced while reading a book or sitting in a classroom. Our goal was to give them a real-world, hands-on, immersive education. 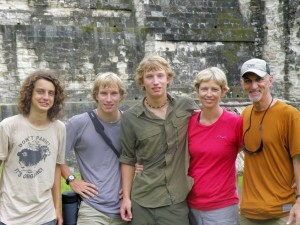 The impact our trek has had on Morgan’s, Zach’s, and Harrison’s lives cannot be measured by taking a test. They have excelled in virtually everything they’ve done largely because of what they learned outside of the classroom. I encourage all families to seriously consider using FLVS as a way to acquire a great education while at the same time offering the flexibility of traveling the United States and the world. Please contact me at my email listed below if I can help you accomplish that goal. 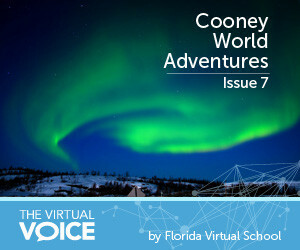 This post was written by Mike Cooney, father of three FLVS alumni, and is the seventh in a year-long series by the Cooney family. His book, Cooney World Adventures: Backpacking with Teens Through Latin America, details the first leg of their trek with stories of their adventures (and misadventures) while traveling through Central and South America almost entirely by bus. This entry was posted in Educator Edition, Homeschool Edition, Parent Edition, Student Edition and tagged Cooney World Adventures, Cooneys, Culture, Flexibility, Global Citizenship, Goals, Online Learning, Sociology, South America, Student Accomplishments, Student Achievement, Student Achievements, Student Planning, Student Success, Tips for Parents, Tips for Students, Travel, Travel Safety, Travel Safety Awareness Month, World Languages on November 16, 2015 by Guest Blogger.